Asian Educational Services (AES) is a New Delhi, India-based publishing house that specialises in antiquarian reprints of books that were originally published between the 17th and early 20th centuries. Founded by Jagdish Lall Jetley in 1973, the selection of titles are over 1200 in number. This firm has a very active publication programme that aims to preserve knowledge, in the form of old books, from being lost. An extensive list of about 200 travelogues gives a vivid picture of India specifically, and Asia generally. Many of the big names in Asian exploration and in the field of history have been reprinted. W. W. Hunter, H. H. Wilson, Max Muller, Rhys Davids, H. H. Risley, Edgar Thurston, G. Forrest, G. B. Malleson, Nicholas Greenwood, William Muir, Vincent A. Smith, Emerson Tennent, Wilhelm Geiger, Monier-Willams, Sven Hedin, Richard F. Burton, Francis Younghusband, William Moorcroft, M. Auriel Stein, Marco Polo, Heuin Tsang, Al-Beruni, William of Rubruck, and many more share this shelf space. Travelogues of people who, in the Middle Ages, frequented India such as F. Bernier, J. B. Tavernier, John Fryer, N. Mannuchi, Abbe Carre, J. Ovington, Alexander Hamilton, J. Neuihoff, P. Baldeaus, Father Montserrat, Ippolito Desideri, etc., have been given a new lease on life. Friedrich Max Müller, generally known as Max Müller, was a German-born philologist and Orientalist, who lived and studied in Britain for most of his life. He was one of the founders of the western academic field of Indian studies and the discipline of comparative religion. Müller wrote both scholarly and popular works on the subject of Indology. The Sacred Books of the East, a 50-volume set of English translations, was prepared under his direction. 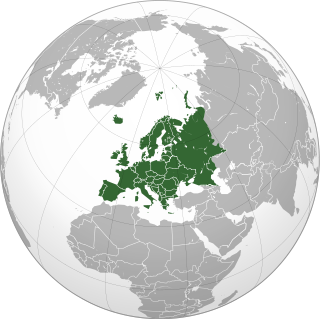 He also promoted the idea of a Turanian family of languages. Language aids for over 40 Asian, European and African languages in the form of dictionaries (classical, and popular), Polyglots, grammar aids, and self-taught series are part of the AES programme for language studies. 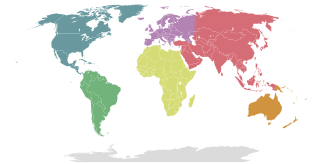 All major languages of the Indian sub-continent have been covered, along with semitic languages like Amharic and the Arabic-Persian family of languages. 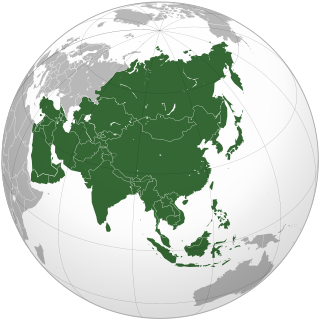 Apart from India, other areas of publication activity involve: Sri Lanka, Nepal, Bhutan, Tibet, Himalayas, Central Asia, Burma/Myanmar, the Indian Ocean. Subjects deal with: History, Customs and Manners, Religion, Buddhism, Numismatics, Anthropology, Art, Architecture, Castes and Tribes, The Indian Revolt/Mutiny of 1857, Natural History, gazetteers, guidebooks, etc. AES was awarded the National Award for Excellence in Publishing in 2005.
AES has been featured regularly in newspapers and TV shows, that highlight its re-publication programme. 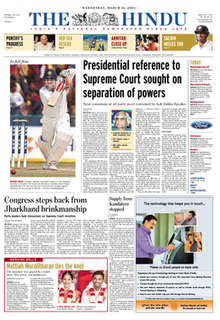 The newspapers that have carried stories on AES include the national dailies like The Hindu and The Indian Express. Among the channels that have features AES are the National Channel of India (Door Darshan 1) and the CNN/IBN network in India. After the death of the founder in 2005, the firm is being run by the surviving family. Sir William Jones FRS FRSE was an Anglo-Welsh philologist, a puisne judge on the Supreme Court of Judicature at Fort William in Bengal, and a scholar of ancient India, particularly known for his proposition of the existence of a relationship among European and Indian languages, which would later be known as Indo-European. Radio Ceylon is the oldest radio station in Asia. 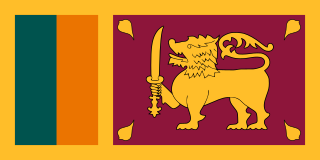 Broadcasting was started on an experimental basis in Ceylon by the Telegraph Department in 1923, just three years after the inauguration of broadcasting in Europe. Indian comics are comic books and graphic novels associated with the culture of India published a number of Indian languages and English. François Gautier is a French political writer and journalist based in India, since 1971. He has served as the "South Asian" correspondent for the French-language newspaper Le Figaro. Gautier is the founder of the Foundation for Advancement of Cultural Ties (FACT), an NGO dedicated to Indian history. He is also the founder of the Chhatrapati Shivaji Maharaj Museum of Indian History in Pune which is a private museum that houses exhibits on Indian history. Hinduism is practised by about 252,763 people in Myanmar, and has been influenced by elements of Buddhism, with many Hindu temples in Myanmar housing statues of the Buddha. Burmese Indians are a group of people of Indian origin who live in Burma. While Indians have lived in Burma for many centuries, most of the ancestors of the current Burmese Indian community emigrated to Burma from the start of British rule in the mid-19th century to the separation of British Burma from British India in 1937. During British times, ethnic Indians formed the backbone of the government and economy serving as soldiers, civil servants, merchants and moneylenders. A series of anti-Indian riots beginning in 1930 and mass emigration during the Japanese occupation of Burma followed by the forced expulsion of 1962 left ethnic Indians with a much reduced role in Burma. Indian soap operas or Indian serials are soap operas written, produced, filmed in India, with characters played by Indians with episodes broadcast on Indian television. 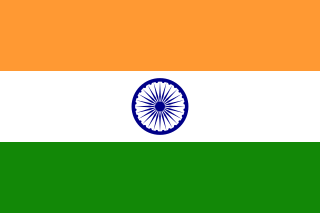 Anti-Indian sentiment or Indophobia refers to negative feelings and hatred towards India, Indians, and Indian culture. Indophobia is formally defined in the context of anti-Indian prejudice in East Africa as "a tendency to react negatively towards people of Indian extraction against aspects of Indian culture and normative habits". Its opposite is Indomania. Indians are the nationals or citizens of India, the second most populous nation in the world, containing 17.50% of the world's population. "Indian" refers to nationality, rather than a particular ethnicity or language; the Indian nationality consists of dozens of regional ethno-linguistic groups, reflecting the rich and complex history of the country. Due to emigration, the Indian diaspora is present throughout the world, notably in other parts of Asia and North America. Karnataka is an Indian state. Several etymologies have been suggested for the name Karnataka. The region was popularly referred to as 'Karnata desha' in Indian history. However, historically, the names Karnatak or Carnatic have been misapplied to refer to the regions in or beyond the Western Ghats as well as to a region in present-day Andhra Pradesh (Telangana). The other accepted derivative comes from the Kannada words karu and nādu meaning elevated land, or from the Kannada words kal and nādu meaning rock country, referring to the rocky terrain of the state. One more derivative is "Karnad" meaning "land of Black soil" and other derivative is from Tamil words meaning that 'Karai' (கரை) meaning 'shore' and 'nataka' (நாடக) meaning dance. Santhosh George Kulangara is the founder and chief explorer of Safari TV, the first and only exploration channel in India. He started his career in television media at the age of 17 and recognized well with production of a number of tele films, tele serials and documentaries for Doordarshan, Thiruvananthapuram. His most important contribution to the visual media is Sancharam – the first visual travelogue in Malayalam. It has crossed 1500 episodes. The traveler goes to cities and villages of different nations and captures in his camera the remnants of history, today’s life, uniqueness of nature, traditions, culture and everything. The direction and camera of Sancharam are by Santhosh George Kulangara. He has already completed his journey to more than 100 countries in Asian, African, Australian, American, European continents and Antarctica during last 21 years. After 16 years since he had started travelling, Sancharam has turned out to be an exclusive, round-the-clock exploration channel Safari. The channel offers a 24-hour live streaming. The program Sanchariyude Diarykurippukal in Safari is most notable; Santhosh himself shares his different experiences from journeys in this program. National Translation Mission is a Government of India initiative to make knowledge texts accessible, in all Indian languages listed in the VIII schedule of the Constitution, through translation. NTM was set up on the recommendation of the National Knowledge Commission. The Ministry of Human Resource Development has designated Central Institute of Indian Languages as the nodal organization for the operationalization of NTM. Wasbir Hussain is a political commentator and strategic analyst whose core area of work includes writings and speaking on issues of peace, security and development in northeastern India and its immediate neighbourhood. One of the founders of the research and policy think tank, the Centre for Development and Peace Studies, he is currently its executive director. Hussain was twice nominated Member of India's National Security Advisory Board. He is currently the Editor-in-Chief of North East Live, northeastern India's first satellite English News Channel, with headquarters in Guwahati. The channel is the latest venture of Pride East Entertainments Pvt Ltd, the region's largest media group. Hussain hosts a debate show on the Channel titled 'Northeast Tonight with Wasbir Hussain', telecast every Monday and Friday. The program involves discussion on current trending topics in Northeast India. He also hosts a popular weekly English talk show 'Talk Time with Wasbir Hussain' on News Live, a Group channel. In 2017, Hussain and two of his associates established the region's first state-of-the-art Television Media Institute at Guwahati called Turning Point Institute of Media and Creative Skills. Safari TV is an Indian Television Channel broadcasting in Malayalam language. It is an exploration channel based in Thiruvananthapuram, Kerala. The channel is part of Safari Multimedia Pvt.Ltd, India.